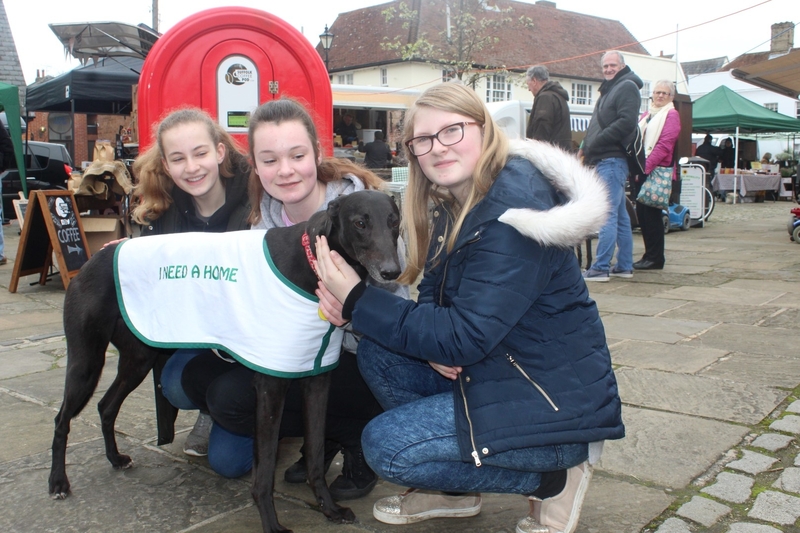 It with very heavy hearts we have to give the tragic news that Tudor passed away earlier this week, while under anaesthetic as he was being neutered. 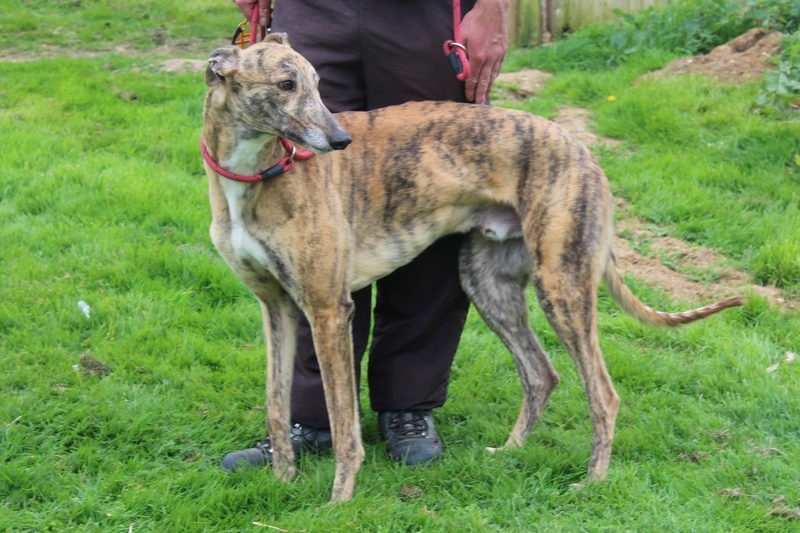 He was a happy, affectionate and adorable boy, a kennel favourite who had finished racing and had a lovely home waiting for him. 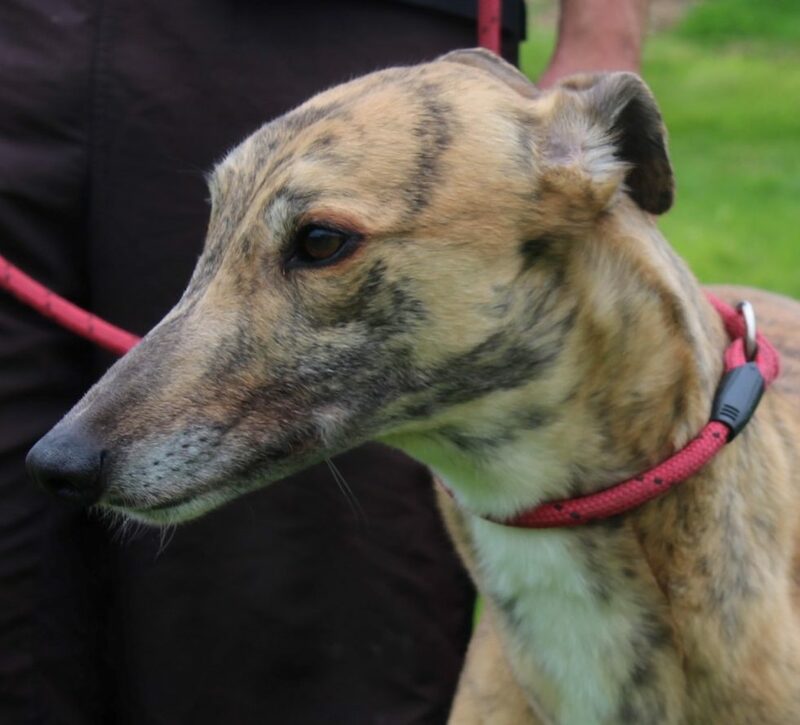 Born in April 2015, Tudor (Tudor Dynasty) spent much of his puppyhood at Dillymore, where he was much loved by all who looked after him. 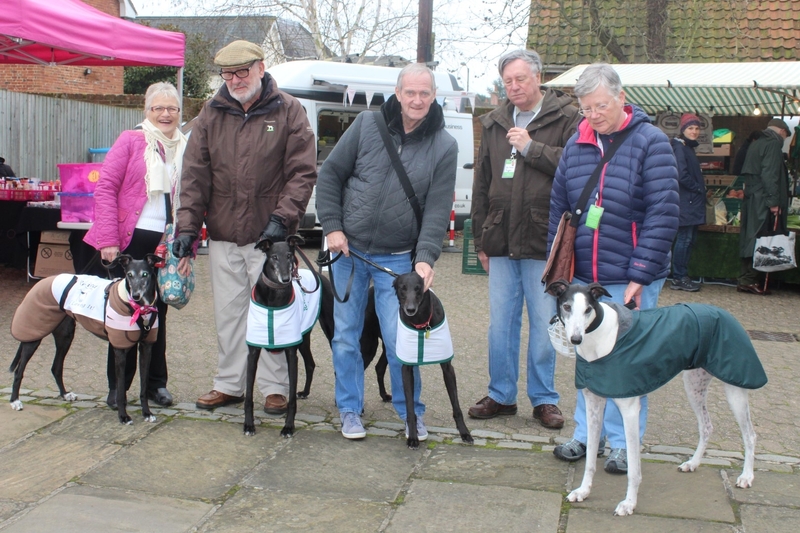 His racing owners kept him at home for a while, and he was raced at kennels close to them where they walked him regularly, and they are devastated by his loss. Our thoughts are all at Dillymore who cared for him, his racing owners, and with the couple who were waiting to take Tudor home. 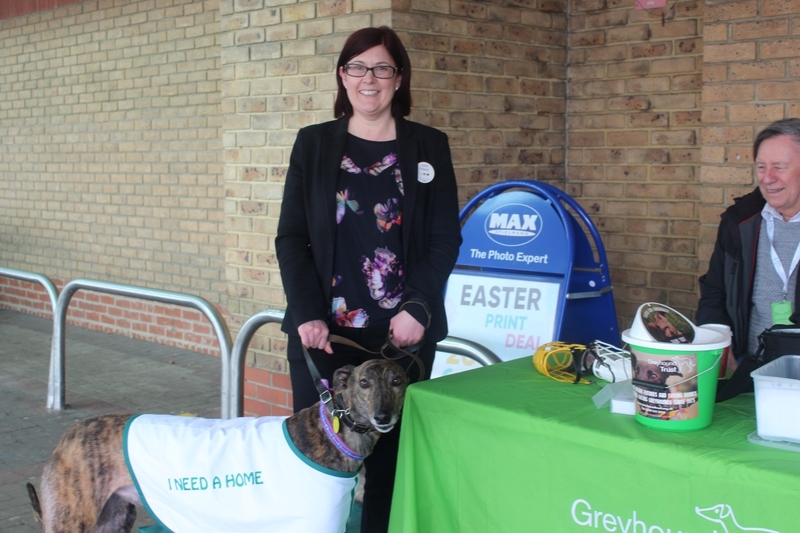 They have bravely decided to go ahead with their plans to adopt a greyhound, and they will be taking Nemo home in a few weeks. The vet practice says that Tudor suffered a heart attack while under anaesthetic, that this is an extremely rare occurrence, and in spite of all their best efforts to save him, they couldn’t revive him. All at the vets are heartbroken. Sleep tight Tudor, we’ll miss your waggy tail and sweet nature, and you won’t be forgotten by anybody who knew you. 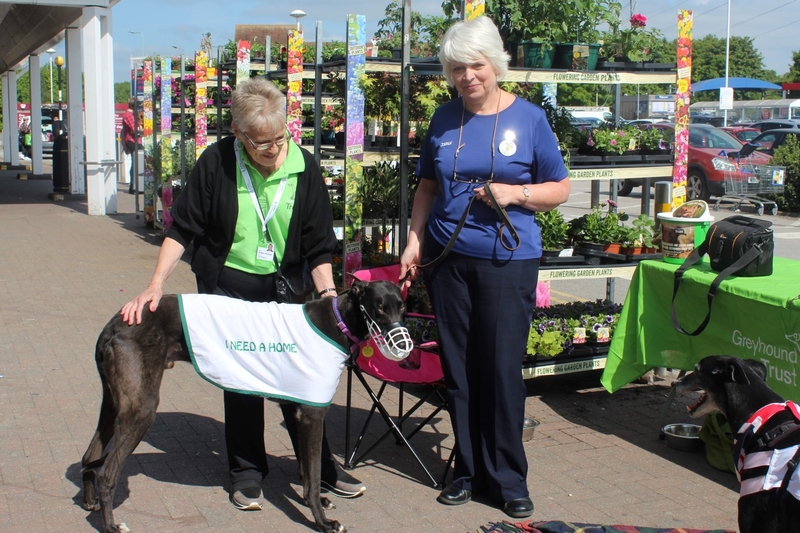 Many thanks to Waitrose Ipswich for the wonderful donation of £300 we received from their green token scheme. Thanks also to all those who put their tokens into our box. 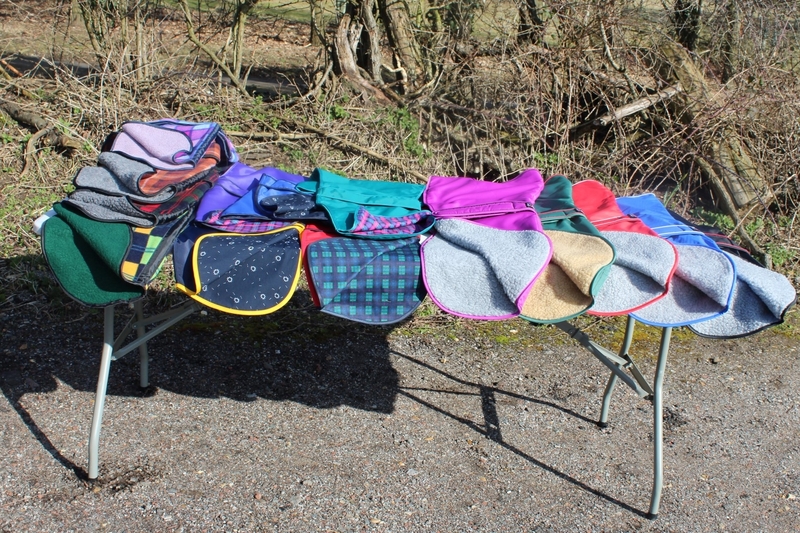 Just to let you all know we have a wide selection of coats available for sale at kennels. With spring fast approaching we have lined rain macs and fleece jackets available in various sizes and colours at £15 each. We also have an unlined version of the macs(not shown) at £10 each. For those that think it’s still a bit chilly to be stripping off we have Blizzard coats at £18 each, again in various colours and sizes. If you would like any of the above please call us and arrange to meet us at kennels on a Saturday morning between 10.30 and 12.30. Alternatively if you know what size and colour you require let us know and we will bring it along to our next walk. 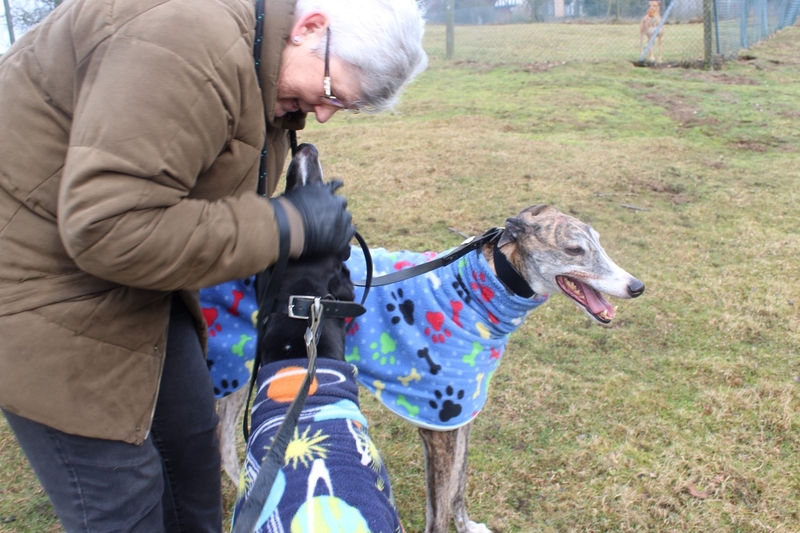 We love being at kennels on a Saturday morning, taking all of our retired dogs for extra walks, giving them special treats and having lots lovely snuggles. Bless them they cheer up even the greyest of days. Lass and we think it’s Bobby underneath Angie’s hair! 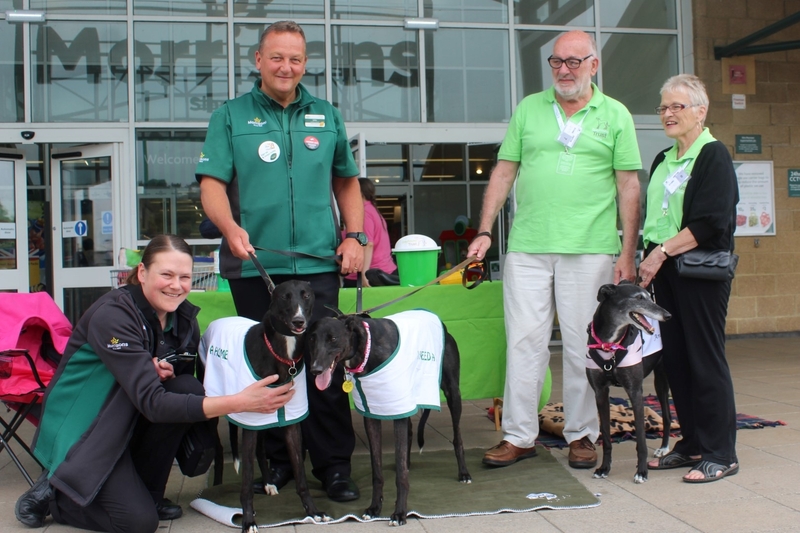 Throughout the month of January, the Ipswich branch of Waitrose has kindly chosen our branch to be part of their Green Token Community Matters Scheme. So if you are shopping in Waitrose please support us by putting your tokens in the box. Thank you. Waitrose is also donating a hamper for the raffle at our upcoming quiz night.